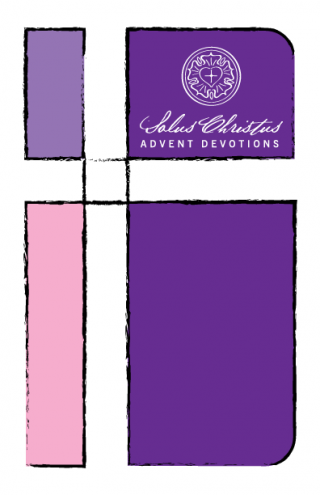 Celebrate Advent this year by using a devotion that is also in tune with the coming 500th Anniversary of the Reformation. Solus Christus is a devotion written by Lutheran pastors and provided via Steadfast in the Parish for congregations and households to use. 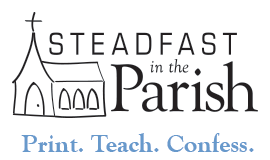 This year’s theme focuses on four of the Solas of the Reformation – grace, faith, Scripture, and Christ. This year’s writers are Rev. Marcus Baikie, Rev. Wes Odom, Rev. Andrew Packer, and Rev. Joshua Scheer. Mrs. Kris Brown, our Art Director has made the devotional quite presentable this year. Thank you to all who have helped put this together. May it be of service to congregations and members of the Evangelical Lutheran Church wherever it is found. To download the files look below for a variety of formats in both color and black/white. Pastors – here is the matching Advent series for midweek services. It appears you don’t have a PDF plugin for this browser. Use one of the links above to access the PDF file. Is it possible to get this in an editable format? Word, Pages, something else. I like the layout very much, but want to add dates and our daily prayers to it. Todd, go ahead and email me at [email protected] and I can see about getting you a file. Instantly refocus mind-blowing God moments.